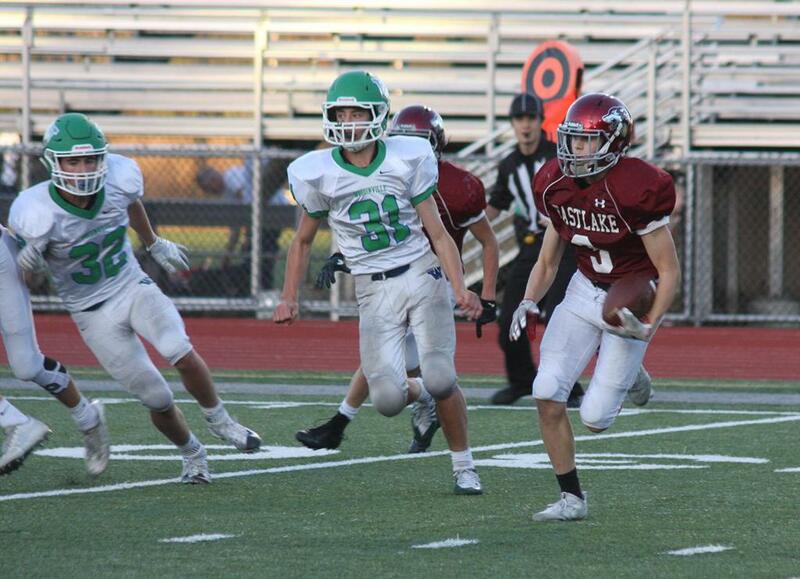 The Eastlake JV came out with a hot hand Monday night at EHS, but eventually gave way to a surging Woodinville squad. Eastlake started the game with a long Ryan Curran strike to Ryan Cole. The 35 yard touchdown pass put the Wolves ahead at the 6:42 mark. The defense came up with a big stop, led by tackles from Sam Marks and Broc Stauffer. With their second drive stopped to further the lead, Eastlake bravely attempted a long field goal – the 38 yard attempt by Curran was blocked. Eastlake's defense held stiff and got their second stop of the game with Carter Cox and Nick Villegas leading the way with tackles. The teams traded possessions until a second big special teams play by Woodinville that seemingly ignited the visitors. A blocked punt was recovered in the end zone and the finishing 2-point conversion put Woodinville up 8-7. Woodinville then stopped Eastlake and quickly scored a second TD. Another short drive by Eastlake turned the ball back to Woodinville. Hoping to go into half within one score, the defense looked to hold – a sack by Brody Leslie seemed to do the trick. But Woodinville found a big receiver deep on a 4th down play to keep their drive alive and shortly after Woodinville capitalized with a late score. With :01 showing on the clock, the third Woodinville touchdown in 8 minutes sent the teams to halftime with Woodinville leading 22-7 and holding the momentum. The Eastlake play of the game was early in the second half. With the growing lead Woodinville looked to run the ball – they broke off a long run that looked certain to break the game open. 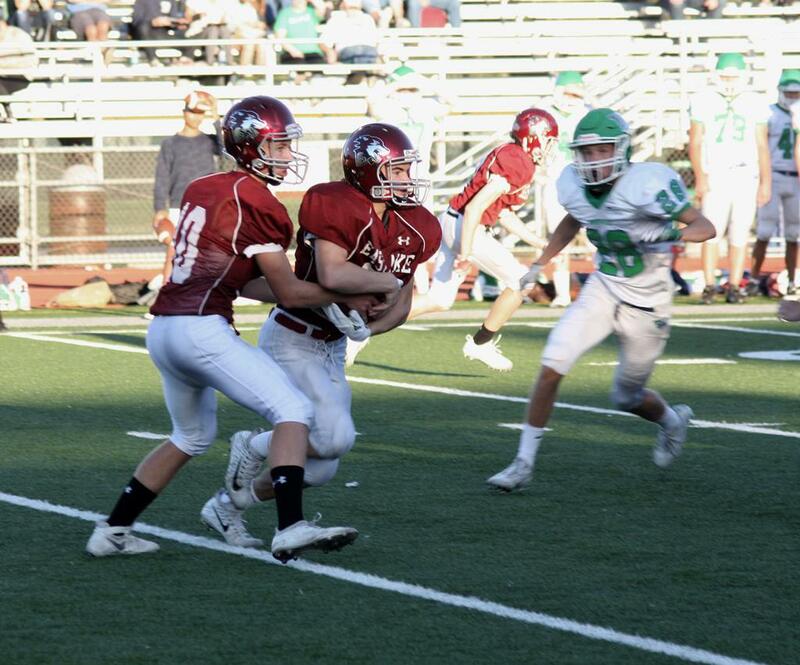 The closet defender was 7 yards behind the runner – but that was no match for the speed and determination of Cooper Williams who caught the runner at the 10 yard. The great effort by Williams checked the run (which went for 80 yards) and Eastlake’s defense rewarded the effort by keeping Woodinville out of the end zone. 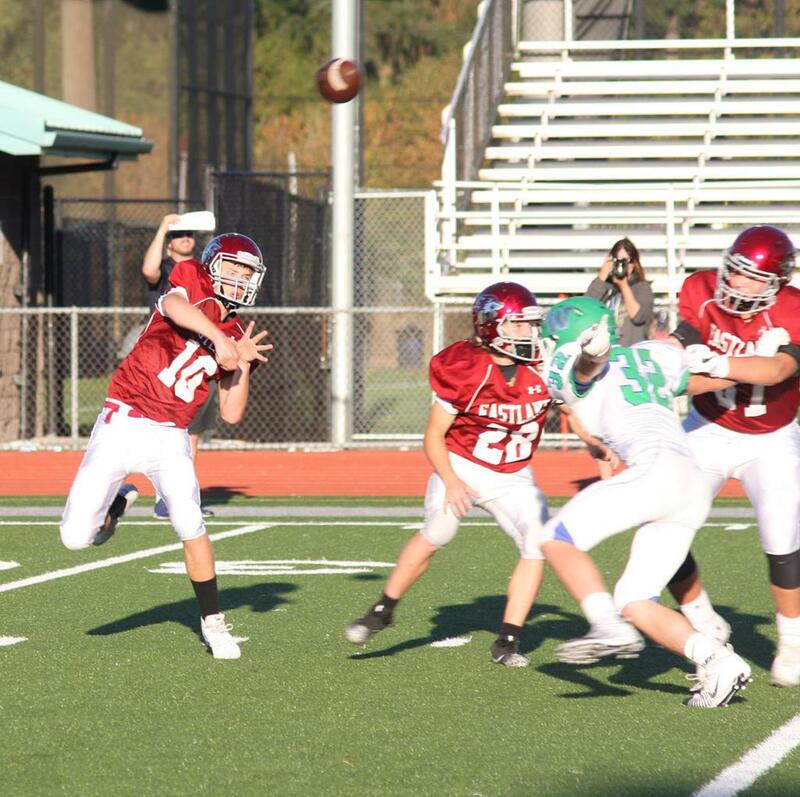 A couple more mistakes helped Woodinville force a safety and subsequent TD, putting the game out of reach. Trailing 32-7, the game was effectively over. 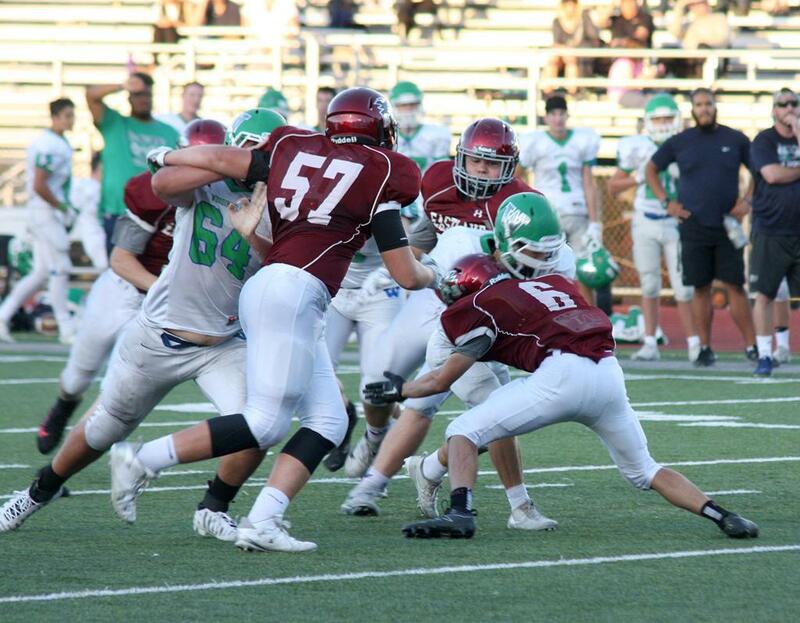 Several individual Eastlake efforts are worthy of note: Marks and Connor Jolley teamed up for a nice tackle-for-loss, Cox deflected a pass over the middle, and there were nice tackles by Jake O’Donnell and Jason Bryant. Perhaps trying to dig deep and develop a tough running mindset, Eastlake effectively ran the ball in the middle of the field throughout the 4th quarter. Nice blocking by the interior line, led by Andrew Plummer and Marks, and hard running by Matt Brookshier proved a great combo. Brookshier broke off a big run to the Woodinville 1, and Eastlake scored a play later. The final score was Woodinville 32-13. Eastlake JV hopes to bounce back next Monday against Mt. Si. Join the Wolves supports at Mt. Si High School – the game starts at 6PM.